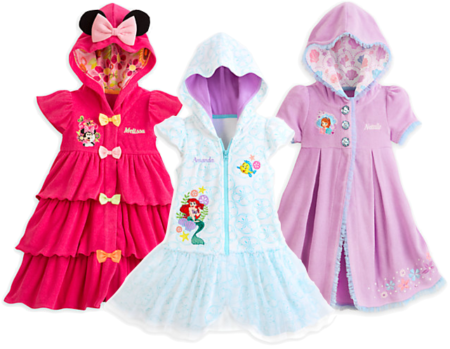 Disney Personalized Swim Cover-Ups Only $7.99! Down From $23! You are here: Home / Expired / Disney Personalized Swim Cover-Ups Only $7.99! Down From $23! The Disney Store has these Disney Personalized Swim Cover-Ups on sale for $9.99 (Reg. $23) but you can get them for only $7.99 when you use promo code EXTRA20 at checkout through 6/5! Please note that personalization will cost an extra $5.95!